December 2013 I hit a BD dip of massive proportions. I faced the possibility that I might never walk back into a classroom. Then with support, exercise, …I pulled back. This links to Mindshackles – a project volunteered to participate in. Today I looked back at previous posts and it reminds me of how far 2014 had progressed and provided a platform to build from going into 2015. The initial rush and excitement of Christmas is over, the reflective posts for #Nurture1415 and now #Teacher5aday have been written. I have read others reflective posts, I am tweeting as more big stories that we can reflect on in geography appear, unfortunately many of them tragic for others. Exercise – I have been outside for walks, unfortunately the freezing nights and mornings limit me as I am careful not to trigger a wheeze on an already congested chest. Family time including sky+ catchups. It would be fair to reflect that I am relaxed. Marking – yes I know two weeks off. I have some outstanding marking from last term in the form of projects / assessments so got that started this morning and made some good progress. I will need to do this all week to complete the backlog and also plan units for the next half term but I feel in a positive place, which is good. Globalsolo marks it’s first anniversary on New Year’s Eve – in the eve itself and with 1700+ followers it has far exceeded my hopes from a year ago. Much more could / can be done, it’s just fitting it in around everything else, hence it can never be my first priority. The Gasigict twitter account rumbles on more as a newsfeed that introduces others to web based sources and apps from time to time. 7 months in by the end of the week, it is also exceeding expectations and will provide a sound back story to a workshop at conference in April 2015. Why am I blogging this? I suppose self reflection to be honest – my thought outlet. If it is of interest, good. If not I quite understand. I may apply my own interpretations but I am sure that is ok as it’s my reflections after all and I am never good at the balance idea as colleagues and family can confirm. In 2014 especially I have developed the way I connect in several ways. From the drinks after work on a Friday which is far more frequent at my new school, even if my consumption of diet coke / pepsi bemuses others. I now enjoy more real time conversations with people in person rather than hiding behind my online personas.- the first school year in post is now done and I kept the social aspect going. The school prom showed another side of my character as I made the dance floor my home. I continue to connect online and in 2014 have started two networks which have a global collection of followers as intended. I like that anytime of day or night (semi-somnia) there are people out there that I can chat with and / or share sources and information. – I have spent increasingly less time awake and on Twitter mid nighttime. Less networking but better sleep at times. The first network – @globalsolo has been passed onto Pam Hook (@arti_choke) as I did not have sufficient energy or time with the demands of my new department. For 2015, that global aspect of communication will be a focus as I present an Easter workshop on Developing Global Networks. There is prep work with friends from as many other countries as I can as I want people who attend to go away with faces to contact and chat to, I will just take away some of the initial making contact phase as I have done it already. – the workshop although attended by only a few went well and I have used Global networking through handholding audience members now at two Teachmeets – GA conference and Dagenham – sharing jewels (or similar). I love exercise, it does my mood all sorts of good and … It loses out to a mismatched balance often. My kayak has not left the back garden since September – floods withstanding I want to be taking it out at least once per month before the Easter break holiday which will see it travelling to Norfolk atop the family car. My 50th in 2014 saw me buy a new bike, a lighter cyclocross steed. It saw a lot of service pre September, again it has stayed dry in the shed. It got out for 16km on the 22/12 and I want to go out again during the break. Again I hope to be using it more in 2015 on and off-road so that I can build back up to rides like my 25 mile circuit that takes in all three of the Country Parks around Brentwood and country lanes twixt there and home. – exercise has not made the recovery I hoped for yet. Kayaking has only happened twice – both times greeting school groups on practice Bronze D of E trips. The bike has now started to come out. I have managed up to a 19 mile ride, but still needs to be far more. 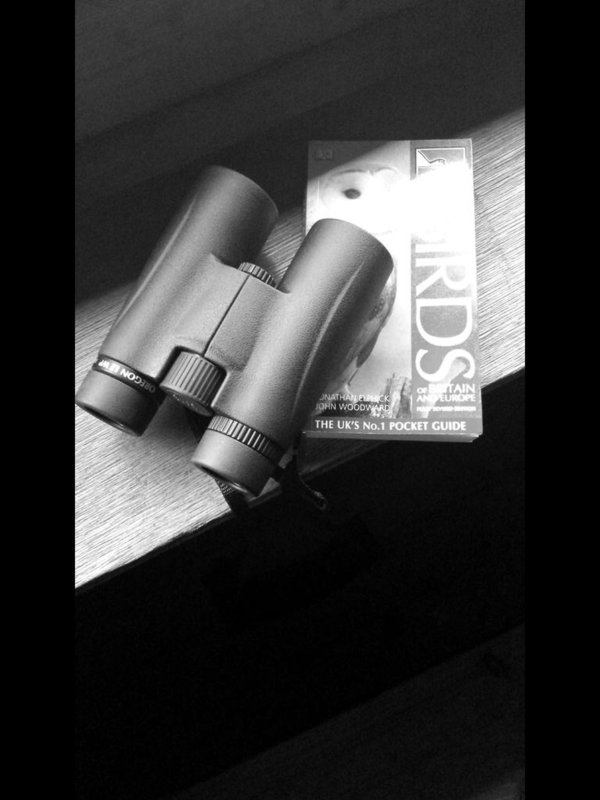 There will be walks including the local nature reserve at Hanningfield reservoir with our Christmas binoculars so now we can say that bird over there is… As long as we remember to take the bird book too. – local walks in nature reserves has been a great success with some sort of walk most weekends this year unless away. The binoculars have been used increasingly. I posted at the end of term about the eternal question…do I ever stop thinking about geography? No, I don’t as I am #alwaysageographer. So in terms of noticing, my eyes are always seeking new ideas, patterns, changes around me. Many find their way into my teaching – I believe in modelling being observant – I continue to take photos and now have started sketching too inspired by my friend Lucie.. I also need to continue to notice the members of my family and friends and be there to support them in any way I can. This has worked so well through the use of #BDAmigos, #mentalhealthmatters and my involvement in the Mindshackles project. I look forward to visiting the BETT show at the end of January and attending my friend Ian’s session on Wellbeing as we have been there for each other which I think we have both found reassuring. – family support has varied depending on energy levels but there have been several posts about this during 2015. My mental health has had a much stronger year, yes there have been dips, even to the point of thinking about ending it all but I have never even attempted this and we go on. Ian’s session at BETT was a privilege to attend and see a fellow #BDAmigo moving forwards. I have also been Shaun the sheep hunting with a range of amigos – great to meet and chat. I must try and catch up with Iesha and Mindshackles over the summer. The hardest thing for me to do is to sit still and do “nothing”, and I need to work on this more. I have used mindfulness apps to help me with this, so strictly I am doing something. But timeout is something my brain, emotions and body can do with from time to time. I will be busy and I will continue to learn something most, if not every, day(s) and I enjoy this. I remember spending several years when my sone were in KS1 how they would not accept that teachers did NOT know all the answers. I will continue to advocate the importance and value of lifelong learning. – the advocacy re lifelong learning continues. I am hoping that now I am in the summer holidays I will slow down, I have started well this morning, even if maybe I should have tried to go back to sleep when I awoke at 05:41 hrs. I used to volunteer in the usual sense when our children were very young. I had the privilege to be a #Sam for a couple of years. Now I do lots of things for others, whether that is volunteering an opinion, lending a hand I work situations that go far beyond the requirements of the job. My two volunteer foci for 2015 will continue to be the tweeter running @globalsolo and @gasigict accounts. I started both in the lat 12 months and I enjoy the role of facilitator. I have moments of doubt when I start comparing myself with others using the links, but then manage to remind myself I set myself up as the facilitator as I find making links enjoyable and to be frank I am good at it (self affirmation – how much I have moved on from my BD low moments). If others ripen with ideas and produce something beyond my skills I just need to sit back and think, I helped and that is plenty to be proud of. I continue to meet people just starting out with Solo Taxonomy – I feel I can help them get started. The geographical links that the gasigict account is making fills me with hope and helps me with my friends truly spread all over the world. I may not always be able to understand the language of the tweets, but infographics and images provide resources I can use to spread the boundaries and awareness of other learners. – well this year has seen me give up @globalsolo network and my role as a Promethean advocate – things had to give with work demands. However, interest in and involvement in the John Muir Trust award has taken my department to Provider status, an Explorer award for myself and a set of science teachers and technicians happy to have a new ally in increasing the biodiversity of our school grounds. I was lucky to share this project with others at the July #PedagooLondon. That weekend also saw one of my photos from mooching around Brick Lane / Spitalfields be exhibited in both of he #teacher5aday exhibitions. I also wrote up about my online global networking and became a Fellow of MirandaNet. Applications for FRGS and CGeog await summer break attention. In conclusion after two terms, I have not reached all my targets but that’s ok, I have become reflective and made sure I take time out every weekend. When I have come home exhausted I have recognise that and rested. Thanks for the idea. Martyn, I will review how things are before the September return to school. Ok let’s be clear about this I am a traditionalist at heart so here goes my attempt at 15 targets for 2015. I haven’t planned it on paper like last December so beware and if you finish it please reward yourself. So 15 targets – that was far too easy, and there are so many more possibilities. As usual I will do a mid term report in June and End of Year report next December. Thoughts, comments, reactions always welcomed. …read this far? …..thanks you are very kind. – 1.1R I returned to work by the end of January and I have not had a day off since due to own mental health – the mood diary has gone by the way, I still blog when things are hard and I use a range of mindfulness apps through headphones. I did use in lessons from Feb – June. I have kayaked a lot until September – need to get back on the water. Also for my 50th I bought a new bicycle – used a lot again until September and just been out today. – 1.2 R As above my attendance has been vastly better, even though some of the comments made in my Return to Work meeting in. January came across as threatening. I have moved jobs and school and I am enjoying the new job as Head of Geography a great deal. I continue to really enjoy my teaching and I am now developing two younger staff too. – 1.3R this has varied as no. 1 son no longer lives at home, but this has helped all of us overall this year. I still multi task to much but there has been more family hugs and I feel this side has improved especially after the happiness of moving schools. -1.4R I have exercised more overall. In the summer, I cycled up to 54 miles in a single day which marked a great outlet. The kayaking has allowed me to explore and also paddled with an old college friend on the sea. My wife, Anne, also had her first kayaking session and we had a great outing completed with cake and tea afterwards. -2.1R I have done more blogging. This has varied between this blog but also on http://gasigict.wordpress.com and http://globalsolo.wordpress.com – new adventures started in 2014. -2.2R Yes I have done more Mindshackles work, kayaking images and my socks getting their own interview. – 3R Well this has been achieved beyond my wildest dreams. New Years Eve saw the start of a new adventure. I set up accounts for: Globalsolo. A network idea – for educators interested in solo taxonomy that I have increasingly become an advocate for and evangelist about at Teachmeets and such events. Let’s just say that on Dec 22 the Twitter network stands at over 1770 current members / followers. Then in May linked to my Geographical Association work I started a Twitter account and blog to gather more shared ideas about websites, apps and resources online to share them with other geography educators. Again a great success and this account on Twitter currently approaches 850 followers. I have also taken part in a number of links through participating in online chats including #satchatoc (Oceania) and conferences in the USA and Australia. – 4.1R Well I presented at a range of Teachmeets, I made video clips for others. Northern Rocks was my biggest event to date and a great privilege- and re invited for 2015. Andy Lewis (@iteachre) had to step in when I was ill, however in 2014 has run three Teachmeets in February, July and November – so a clear success. – 4.2 R I was discouraged from extras on return at the start of the year – discussions still went on, but an opportunity missed by the school – in my opinion and no longer on staff. I am already involved in discussions about pedagogy at my new school and have also delivered IWB training too. – 4.3R I started to learn some coding then found I would not be teaching IT so stepped back but enjoy discussions about the use of Scratch with my son. – 4.4R the only apps workshop, seating for 40 or so and a final audience with people turned away of 69. The session included dancing – see April -/ May posts. A good session although number of people changed many of the plans made. – 5.2R oh yes, two zip wire rides, one a.m. And one p.m. Over the Eden Project – very memorable, like a kid in a sweetshop. I have embraced being 50 and actually more positive with it too. – 5.3R overall the above and many other events. Yes there have been hardships but more with others health than with mine and a new meds routine which suits me well. There we are, comments welcomed on here or via Twitter. 2015 – I will set targets and may even try 15 like this with subsections, but not yet. Sir?????? Do you think about geography every day?? Yes, I was asked this by one of my Year 11s on the last day of term, and I had to admit that yes as I am surrounded by it everyday that it was a fair comment. As I drove to Kent today to visit my parents I reflected on this as I studied landscapes, Eurostar train and link under the Thames, the newly configured Dart charge barriers so far… Yep loads of geography. So do I think geography everyday ? Yes definitely, so off duty, on holiday but always a geographer. Nope, not the right time of day to start writing annual reviews. I have blogged about some things but realise that others have slipped through the “have I got time” net? 2014 has been a truly busy year of contrasts, change, ups, downs and plateaus. My nurture posts when written will need to be brief but a full year review by month or path taken might just be therapeutic but I shall include a health warning at the start for anyone who feels the need to read it all. I have completed my first term in my new post and YES it was the right move. It’s difficult to believe how far I have come since my absence at the end of term at this time last year when a classroom was a place I had seriously considered not returning to. Now I have a new department and … Oops slipping into blog mode…soon I promise. This weekend we have had frost, rain, icy breezes. I have used this opportunity to take snapshots suitable for backgrounds to make own e-cards or card backgrounds for seasonal use. I have yet to go into card production but it is something I need to do for myself if nothing else. Then today a walk around the families visiting Santa’s grotto out in the woods at Hanningfield. Reservoir and the Essex Wildlife Trust Reserve. 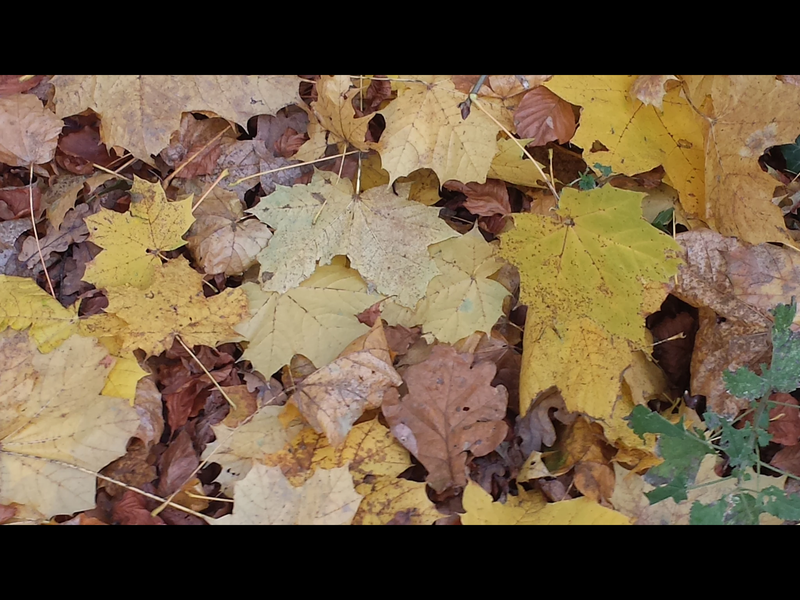 All taken with my trusty camera – Samsung galaxy 4 phone inc. filters provided.